After a delightful meal at Apsleys, Heinz Beck kindly spent some time answering some questions about himself, his restaurant and his food. Why and how did you become a chef? When I was younger I always dreamed of being an artist, my father however had other ideas and rather I studied Economics or something similar. I rebelled and decided to employ my artistic vein through cooking. Where do you get the inspiration for your dishes? I strongly believe and try to instil in all my students that you cannot draw inspiration from just one specific thing or product. It is important to open up your mind and draw inspiration from everything around you: people, architecture, seasons etc. This way you will not remain limited and it will allow you to change and progress. There is a large palette of ideas available and you can draw inspiration from everything at every moment. Returning to my love of art, I believe this philosophy draws parallels with the ‘Bottega Rennais Centos’ from the Renaissance period. I try to recreate this in my kitchens. Was it unexpected that Apsleys received a Michelin star so soon after opening? I was not expecting it so quickly but was of course very pleased and proud of the achievement. From the beginning I ensured I was constantly present to cultivate its growth and quick development. I still ensure to visit the restaurant regularly as it was a big commitment for me to open a second restaurant and important for me to do it well. What are your views or feelings towards the young generation of chefs these days? Are they motivated by success or more by money and fame? If you want to become a chef from a young age, you have to be motivated by passion and possess a natural talent because this is the only way you can achieve success at the highest level. It is a very demanding and tough job and only if you dedicate your life to it will you reach the top. If you are only motivated by fame and money I would advise you against becoming a chef and to find another profession as only a very small handful become famous out of thousands of chefs and it is important to understand this. What qualities do you look for in young chefs? Passion, talent, humility, cleanliness and tidiness in every aspect, precision, persistence, energy,enthusiasm and resilience. Who would be your perfect dinner guests and what would you cook for them? I consider every guest to be the perfect guest and am therefore always looking forward to the next guest. If you could choose any chef to cook for you – who would it be and why? 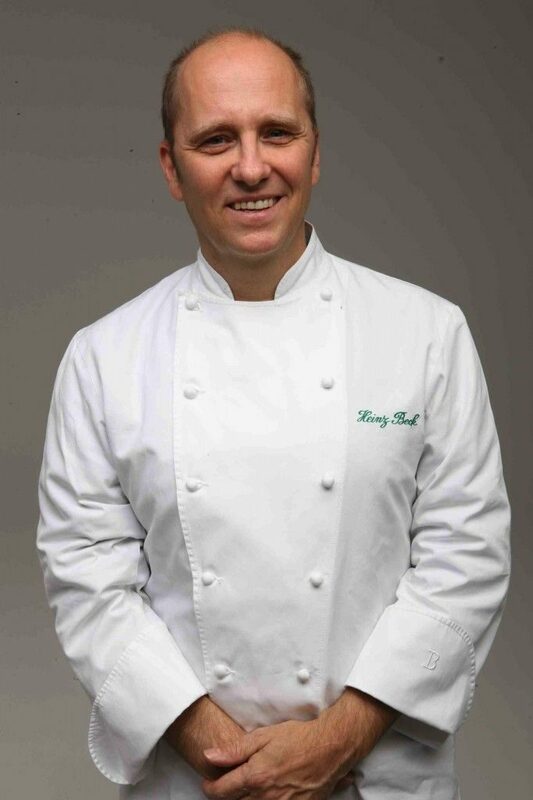 Massimiliano Blasone, my Executive Chef at Apsleys, and that is why I trust him to oversee my London restaurant when I am not there. Arancini Siciliani, traditional Sicilian street food that consists of a ball of saffron rice filled with Bolognese sauce and fried in crispy breadcrumbs. What does 2012 hold for you and your restaurants? Can we expect more openings? In times of economic difficulties I believe it is important to invest and concentrate on developing and renewing your existing restaurants. It is important to never make the mistake of making cuts during these times as your regular clientèle will not accept it. Instead, use all your resources to improve your product, the customers will appreciate it, be loyal, and respect that you are truthful to your standards. 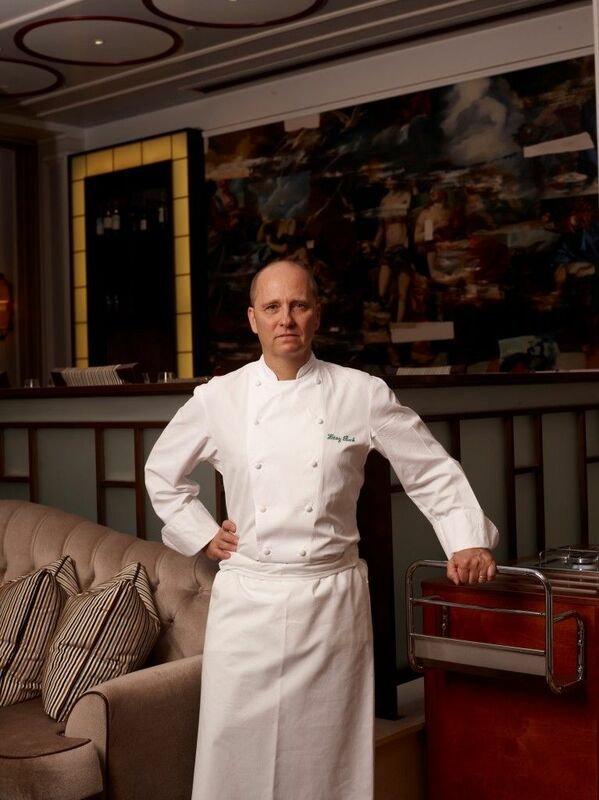 Please visit Heinz Beck’s official website for more details about Chef and his international restaurants.